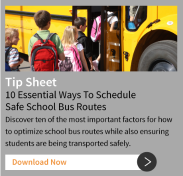 BusBoss provides a range of integrated application add-ons to enhance the features of our school bus routing software. Our integrations for BusBoss routing software help you compare planned routes, automate the process of managing student information and access import and export tools to streamline your student management software. A web application that allows users to view BusBoss data and reports directly from any device with an internet connection and web browser. iBusBoss also allows authorized parents or staff to enter an address or intersection to get nearby bus stop and routing information. A web-based field trip management program that streamlines scheduling, monitoring and budgeting. This routing software integration agent automates the process of adding, withdrawing or changing student information in BusBoss and your student information system, eliminating duplicate work and errors. 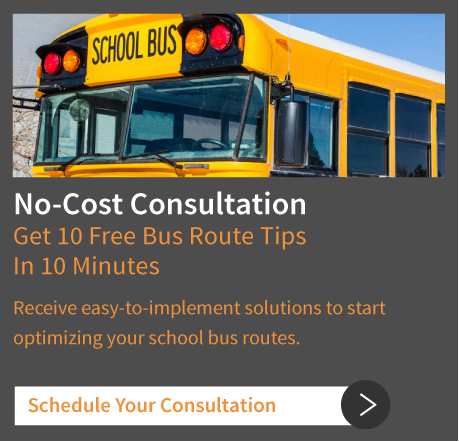 This school bus routing software integration program automatically imports student information received from the district’s student information system and automatically exports routing information directly to your student information system. The BusBoss custom student import tool is created to match the data fields provided by your student information system. This tool helps integrate your student management software by automatically importing student information directly from the SIS and automatically updating secondary student addresses with your SIS addresses. You may also be able to import student routing information from BusBoss into your SIS.